Our crunchy and tasty peanuts are excellent ingredients for snacks, peanut butter and candy products. Peanuts are a source of vitamins, nutrients, minerals, antioxidants and a rich source of energy. All their properties are transferred to peanut-based food products. Raw Peanut Confectionery, Type Runner. Consists of clean, dry, healthy grains, excellent flavor and very low level of chemical contamination and mycotoxins. Label with the following information: processing company, lot number, peanut type and count, weight, country of origin, crop year. Under optimum conditions of packaging and storage, the aptitude for consumption is very long, limited only by alterations of the sapid-aromatic properties after 270 days of processing. Raw Peanut Confectionery, Runner Type, without its skin. Consists of clean, dry, healthy grains, excellent flavor and very low level of chemical contamination and mycotoxins. 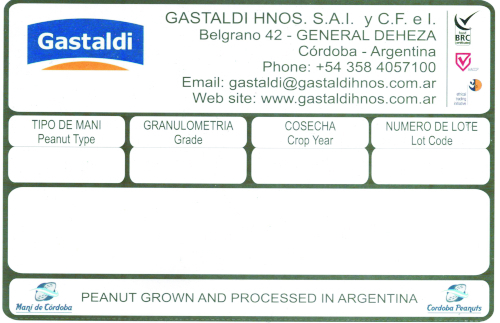 Gastaldi grows peanuts independently or in association with producers, through its Agricultural Division. 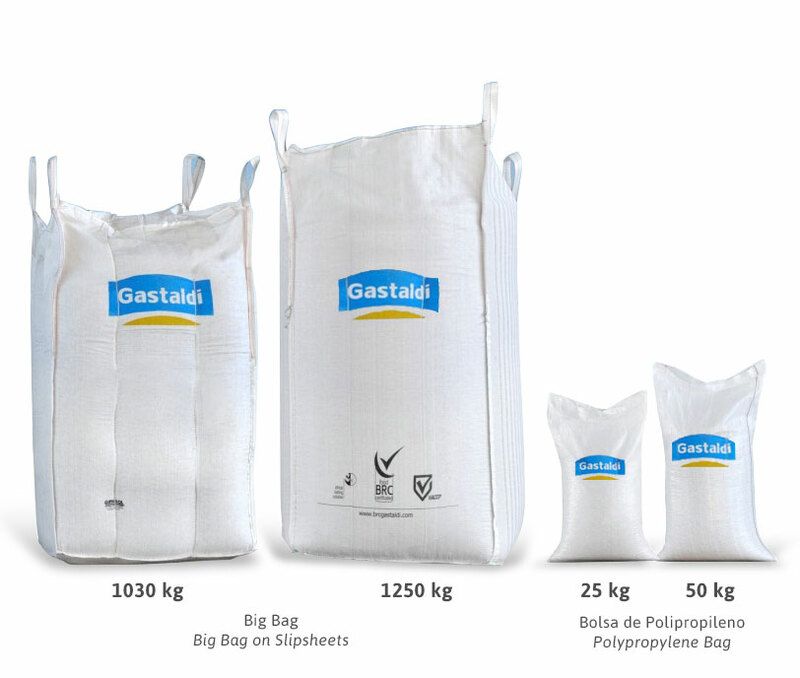 This partnership between Gastaldi and the producers ensures the quality and traceability of the raw material. Our food safety and management system complies with the BRC standard, providing information and control of each stage of the process. Gastaldi was the first Argentinean manufactures company to certify BRC in 2009 and to obtain the BPM and HACCP certifications in 2001. Since 2009, Gastaldi is audited by ETI (Ethical Trading Initiative) and is a B member in Sedex.